The tenth anniversary event at the Singapore Grand Prix brought its first wet race and created a whole new set of unknowns into a what is traditionally viewed as the most difficult race of the season for the race strategists. With a 100% likelihood of a Safety Car in dry conditions, Singapore is always about managing the risk/reward profile when making decisions that will affect the race result. But this year with rain pouring down before the start of the race and the Race Control committing to a standing start (rather than a rolling start) the risk of an accident at Turn 1 increased significantly. Here we will examine the risk/reward decisions taken by some teams and drivers, look at what went right for some and wrong for others, such as the Perez vs. Bottas Vs. Sainz battle, which was decided on strategy. And we will explain what tactic Mercedes was trying to use in the final third of the race, which Lewis Hamilton was uncomfortable with carrying out. And of course the risk/reward profile also applies to driving tactics, with Sebastian Vettel getting his risk profile all wrong by trying to block against Max Verstappen, who was not in the title fight with him and who therefore had nothing to lose in trying to win the hole-shot at the start. Likewise Kimi Raikkonen’s risk/reward profile was also wrong as he made a fast start, but ultimately his responsibility was to work for Ferrari to achieve maximum championship points for his teammate Vettel against Lewis Hamilton. The outcome was the opposite. On the grid, as the rain fell, the main decision was whether to start on the wet or the intermediate tyre. The front runners all went for the intermediate, because it is more likely to be able to run through to the point at which you can switch to slicks, which the wet is less able to do. So there is no point to risk adding in another 26 second stop from wet to intermediates into your race. Also the faster cars have higher downforce, so can generate heat in the intermediate tyre, whereas a Sauber, for example, couldn’t and that makes it more likely that they will crash. So the risk/reward profile for the cars further back showed that it was safer to get a clean first lap on wets and see what the attrition rate is like further forward with accidents. A safety car – or several - is highly likely and that would give a chance to switch to intermediate tyres for the cost of around 15 seconds at Safety Car speeds (rather than 26 seconds). So that is why the grid was split 50-50 wets and Inters. For the midfield it was a more nuanced decision, but it favoured the intermediate; one of the most interesting races was between Carlos Sainz who started on Intermediates and Sergio Perez, who started on full wets. On a day such as this, teams like Renault and Force India can score a podium, if the decisions fall right. Sergio Perez had a shot at it. He battled with Carlos Sainz and Nico Hulkenberg, who had a good shot at a podium after a great start, but later retired. Valtteri Bottas scored the final podium position however, because of the decision of Force India to start both cars on wet tyres. Starting 12th on the grid, Perez was in fourth place, ahead of Bottas after the chaos of the start and had he done the race that Sainz did, running the intermediate until the ideal crossover point for slicks on Lap 27, Perez could well have finished on the podium. Starting on wets and needing to pit for intermediates at the second Safety Sar on Lap 12 also cost track position to Sainz, which Perez was unable to recover. 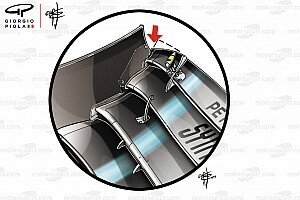 Analysis of the laps around the stops to switch to slicks (L27/28) showed that there was nothing Perez could have done differently there to gain that place back. It was one of those days when everything fell into place for Sainz and the strategy was pitch perfect. But he would have been racing for positions behind Perez and Bottas if Force India had gone with the Intermediate decision at the start. As their championship battle is with Williams, they had been thinking on the grid of covering the Williams cars that were starting behind them. But when the start gave them a shot at a podium, they were on the wrong tyre to capitalise. It’s all about risk and reward profiles. Another interesting cameo in this race was the way the Safety Car was used. 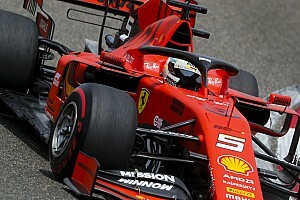 Not only was it deployed in every instance, rather than a Virtual Safety Car, but also the lapped cars were not given the chance to un-lap themselves before the final restart, which is unusual. Although Lewis Hamilton questioned why the VSC was not used in the final instance, when Marcus Ericson spun, he later retracted it, as the deployment of marshals onto the track in a combination of wet and dark conditions without light reflective clothing was too great a risk. The last one wasn’t helpful to Hamilton as it allowed Ricciardo to close up to him, when the track was now in slick tyre conditions. 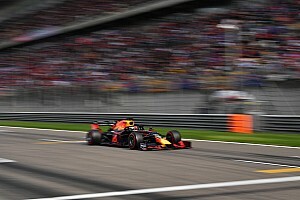 The Red Bull had been notably faster in Friday practice in the dry and the Safety Car allowed Ricciardo a chance to challenge at the restart for the lead, which Hamilton would have struggled to take back off him. It was for this reason that Mercedes didn’t pit Hamilton for new Intermediates at the Lap 12 Safety Car. Ricciardo would have done the opposite and taken the track position that Hamilton would not have been able to take back. However more interesting was the avoidance of lost time for the lapped cars un-lapping themselves. This can be a long process in Singapore; a couple of years ago the whole process took 8 laps for a relatively simple incident. And with the lower race pace caused by the rain and the three Safety Cars, the race wasn’t going to go the distance anyway; the 2 hour limit was going to be invoked. So the unlapping process didn’t happen on the final restart this time. 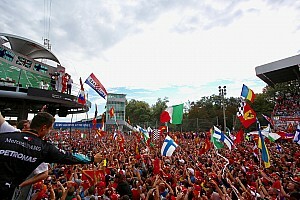 Hamilton was able to get on with his programme with minimal fuss at the end. However as he streaked away around Lap 41/42 Mercedes were fearful of a Safety Car giving Ricciardo a final chance to beat him. They radioed him and asked him to slow down, because they were worried about the gap back from Ricciardo to Bottas in third place. Hamilton pulling away allowed Ricciardo to do the same and once the gap reached 14 or 15 seconds then Ricciardo would have a safety car pit window, in other words he would be able to pit for a new set of slicks and attack Hamilton in the final laps. So they asked Hamilton to slow down to close that window; he didn’t initially understand the request but he did then manage the situation as requested. You can see from this detail of the race history graph what Mercedes were concerned about. Look at how the gap starts to open quickly around Lap 42 and 43 (the blue trace takes a notch upwards). If Ricciardo had gone with him, there could have been trouble. In fact the Red Bull didn’t have the pace to do that. But Hamilton backs off in any case and manages the pace to the end. Look at the period around Lap 27-29, Red Bull were waiting until Ricciardo had a 26 second gap back to Hulkenberg to be able to pit for slicks. Mercedes as leaders have no reason to be the first to move in this situation so will always do the same as Ricciardo +1 lap.